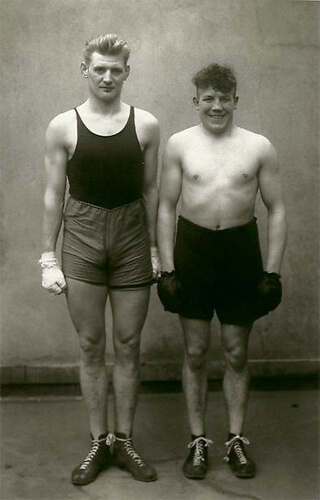 August Sander (17 November 1876 – 20 April 1964) was a German portrait and documentary photographer. Sander's first book Face of our Time (German: Antlitz der Zeit) was published in 1929. 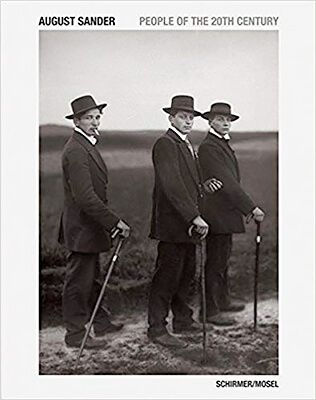 Sander has been described as "the most important German portrait photographer of the early twentieth century." 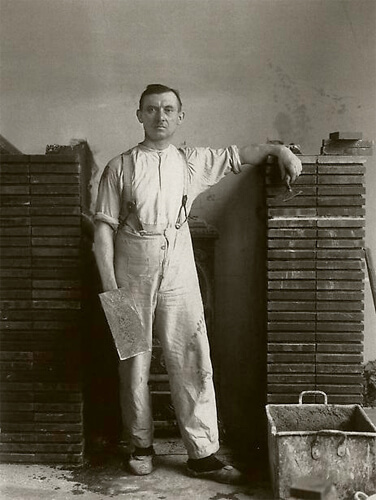 Sander was born in Herdorf, the son of a carpenter working in the mining industry. While working at a local mine, Sander first learned about photography by assisting a photographer who was working for a mining company. 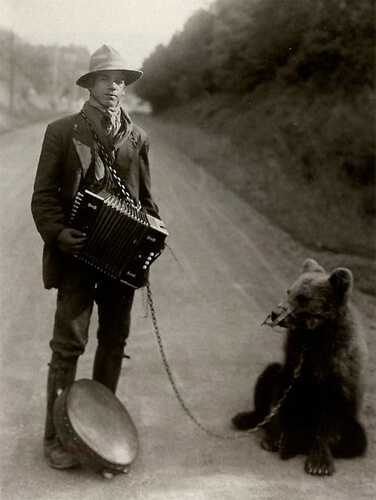 With financial support from his uncle, he bought photographic equipment and set up his own darkroom. 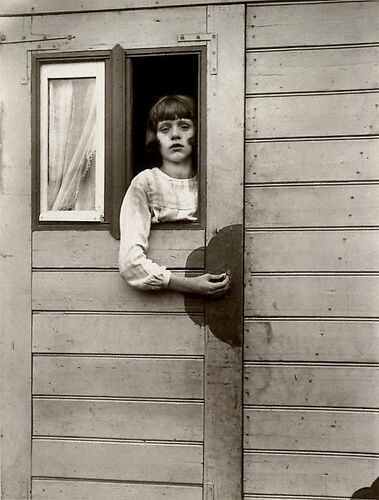 He spent his military service (1897–99) as a photographer's assistant and the next years wandering across Germany. 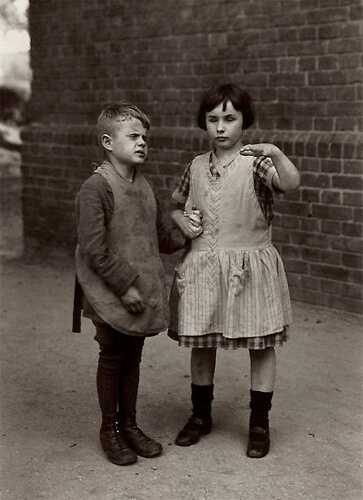 In 1901, he started working for a photo studio in Linz, Austria, eventually becoming a partner (1902), and then its sole proprietor (1904). 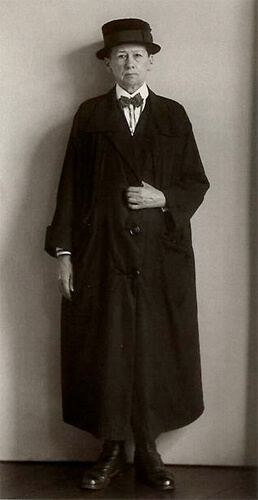 He left Linz at the end of 1909 and set up a new studio in Cologne. 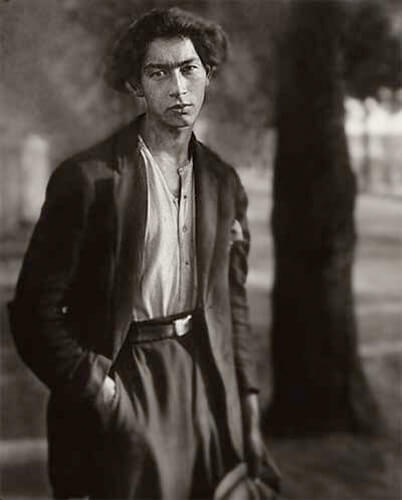 In 1911, Sander began with the first series of portraits for his work People of the 20th Century. 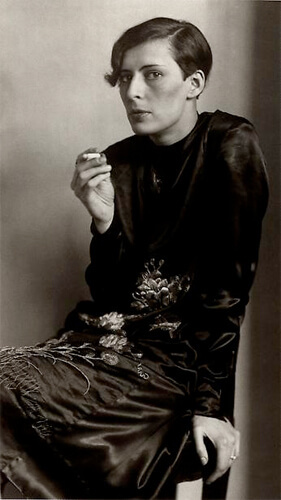 In the early 1920s, he came in contact with the Group of Progressive Artists (Kölner Progressive) in Cologne, a group as Wieland Schmied put it, "sought to combine constructivism and objectivity, geometry and object, the general and the particular, avant-garde conviction and political engagement, and which perhaps approximated most to the forward looking of New Objectivity [...] ". 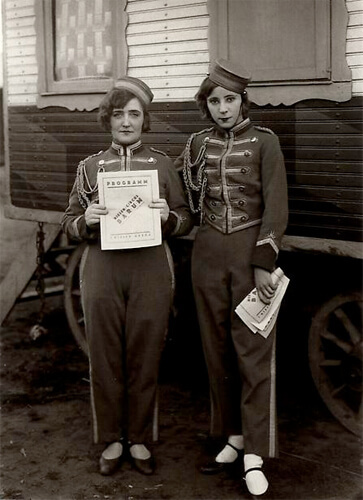 In 1927, Sander and writer Ludwig Mathar travelled through Sardinia for three months, where he took around 500 photographs. However, a planned book detailing his travels was not completed. Sander's Face of our Time was published in 1929. 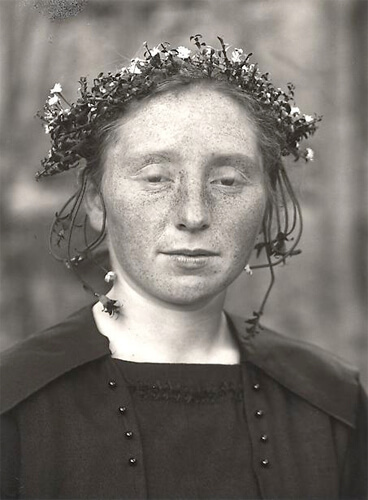 It contains a selection of 60 portraits from his series People of the 20th Century. Under the Nazi regime, his work and personal life were greatly constrained. His son Erich, who was a member of the left wing Socialist Workers' Party (SAP), was arrested in 1934 and sentenced to 10 years in prison, where he died in 1944, shortly before the end of his sentence. 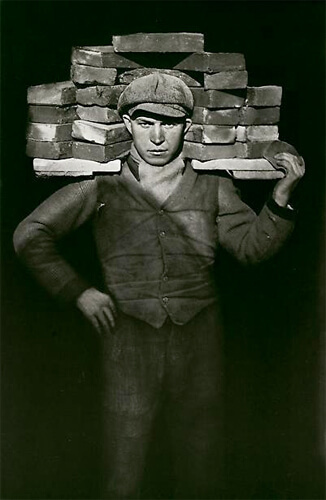 Sander's book Face of our Time was seized in 1936 and the photographic plates destroyed. 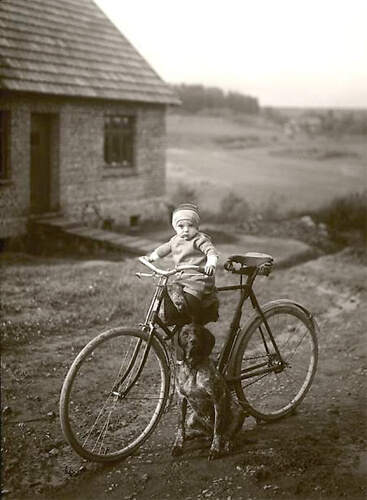 Around 1942, during World War II, he left Cologne and moved to a rural area, allowing him to save most of his negatives. His studio was destroyed in a 1944 bombing raid. 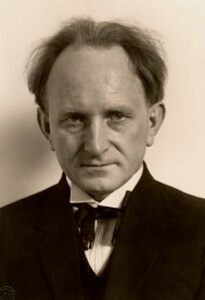 Sander died in Cologne in 1964. 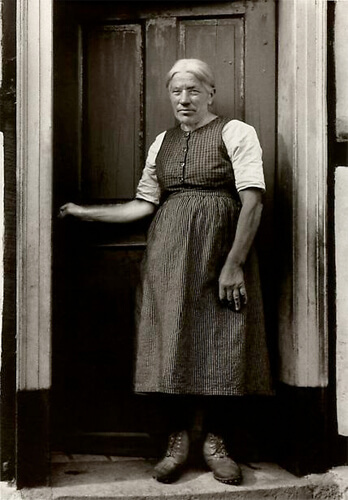 His work includes landscape, nature, architecture, and street photography, but he is best known for his portraits, as exemplified by his series People of the 20th Century. 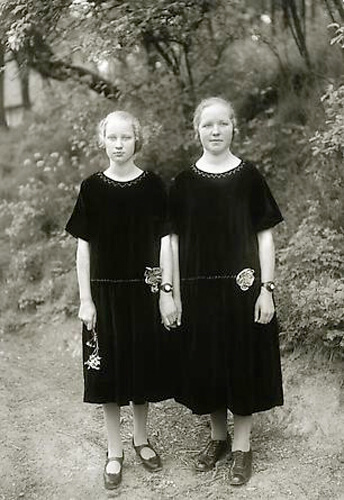 In this series, he aims to show a cross-section of society during the Weimar Republic. The series is divided into seven sections: The Farmer, The Skilled Tradesman, Woman, Classes and Professions, The Artists, The City, and The Last People (homeless persons, veterans, etc.). 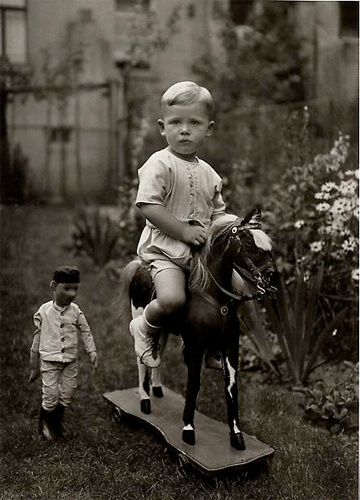 By 1945, Sander's archive included over 40,000 images. 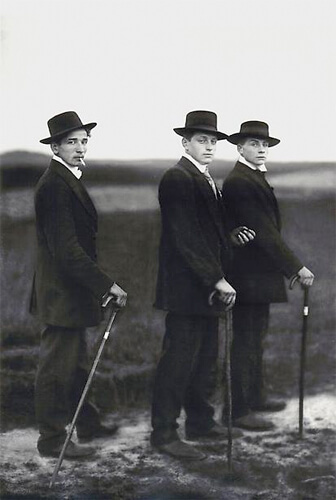 With People of the 20th Century, August Sander created a monumental work that is unique in the history of photography and a classic of photographic literature. Sander conceived this large-scale project, which he ultimately never completed, in the 1920s. He was to spend the rest of his life working on it, his objective nothing less than a complete typological portrait of contemporary society. Hundreds of portraits classified according to professional, social or family criteria were to provide a representative picture of the various social groups. 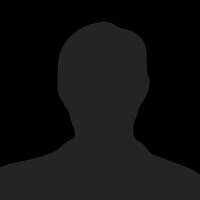 He envisaged seven groups labeled: "The Farmer", "The Skilled Tradesman", "The Woman", "Classes and Professions", "The Artists", "The City" and--on the theme of age, illness and death--"The Last People". We have now condensed out 2002 seven-volume edition of the artist's complete oeuvre into one large volume presenting "the essential" People of the 20th Century.